That's when I came across this overnighter travel bag that's recently released by Targus in India. My search for travel bags was based on the 15-inch laptop that I carry. 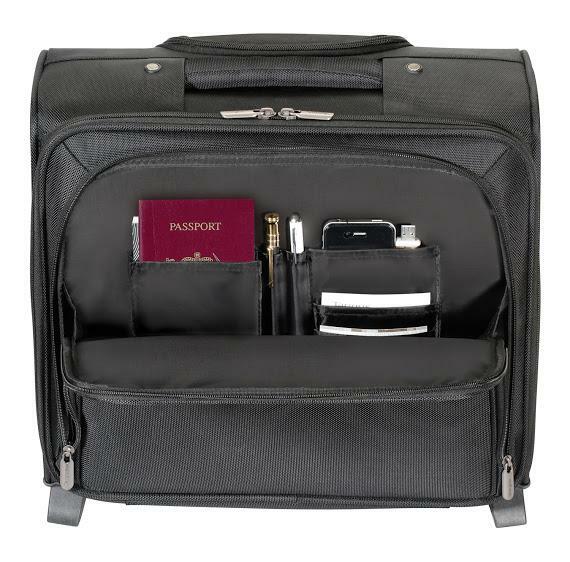 Most travel bags usually have the capacity to easily carry 13-14 inch laptops. However, very few of them allow you to safely carry a 15 incher. This overnighter has two wheels at the bottom and is made out of 1680D luggage grade polyester quality material as per their website. 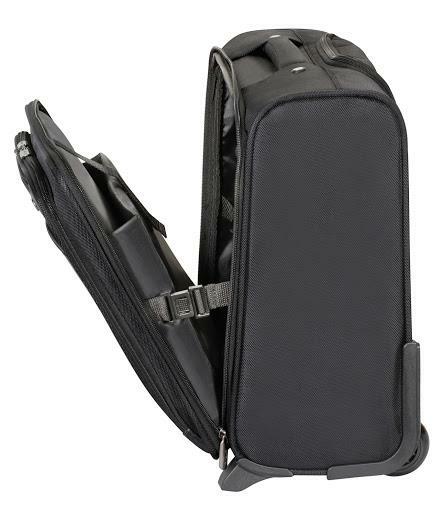 It has a padded sleeve on the inside that can safely store a laptop up to 15.6" in size. Since it is padded, there's no need to worry about bumps and jerks that a cabin travel bag is usually subjected to. This bad is small enough to fit the overhead compartments on airplanes and falls under the official dimensions of bags for air travel. One of the best features I liked about this bag are the straps on the inside that allow you to remove your laptop keeping the bag vertical without having to open it completely. 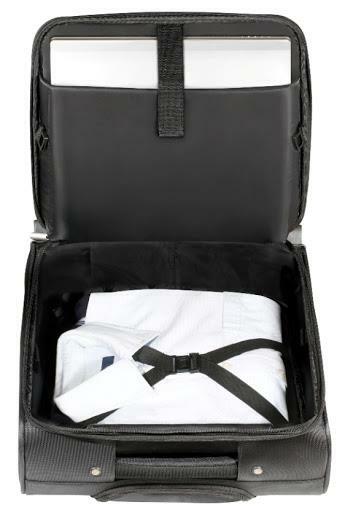 The straps on the inside keep your clothing and other stuff secure and fastened. Like any other strolley, this one also has a telescopic handle that retracts back into the body when not needed. The dual rolling skate wheels are said to be good quality that would slide over any surface with ease. The main compartment is lockable that gives an additional layer of security. The front compartment has pen loops, pockets for business cards, cell phone pocket, and storage space to store your accessories. Additional front compartment and zippered stash pocket provide the perfect spot for quick access. The only thing I am apprehensive about is the fact that Targus's website states its weight to be 2.9 KG. Since the official norm for handbags for air travel allows passengers only 7-8 kgs of weight for handbags, this leaves us with only about 5 Kgs of additional weight. I guess this is a compromise that I'll have to make if I need to take all that weight off my shoulders. I would've been happier if this bag was a bit on the lighter side. However, keeping in view the overall quality and durability, 2.9Kg seems understandable. This particular model is currently on sale in USA for US 99.99 and priced similarly in India for Rs. 6999. Since it is a new launch, at the time of writing this article, this product is not available online in India. It is available via various offline channels, details for which can be found on Targus' website.